What can I say? David Bowie was a hero. When I first spotted the “Diamond Dogs” album at Franklin Music in the Echelon Mall, I knew I had to have it. The lyrics were genius … the songs were rockin’, but in a weird way. Also, if you were a misfit, this album really spoke to you. From there, I backtracked: “Ziggy” … “Aladdin Sane” … “Hunky Dory” … “The Man Who Sold the World.” When “David Live” came out (Tower Theater, yo! ), Bowie was officially the king in my little corner of the universe. Four sides of heaven. Crazy, jazzy, Broadway-ish arrangements, grounded by some newcomer named Earl Slick providing soul-searing rock guitar. My first “real” concert was Bowie at the Philadelphia Spectrum. Had to be ’74. He’d just recorded “Young Americans” at Sigma Sound in Philly. The record wasn’t done yet, but Bowie played the title track at the gig. Another high school memory: As I got ready to party on the night of my high school graduation in 1976, “Station to Station” was blaring out of my stereo speakers. The repeated refrain “It’s too late” suddenly made me very emotional. I remember thinking: High school is over, and anything I wanted to do during these four blink-and-you-miss-’em years, well, now it’s too late. I still get fractured when I hear the song. Bowie did it on his 2005 tour, and I got teary. 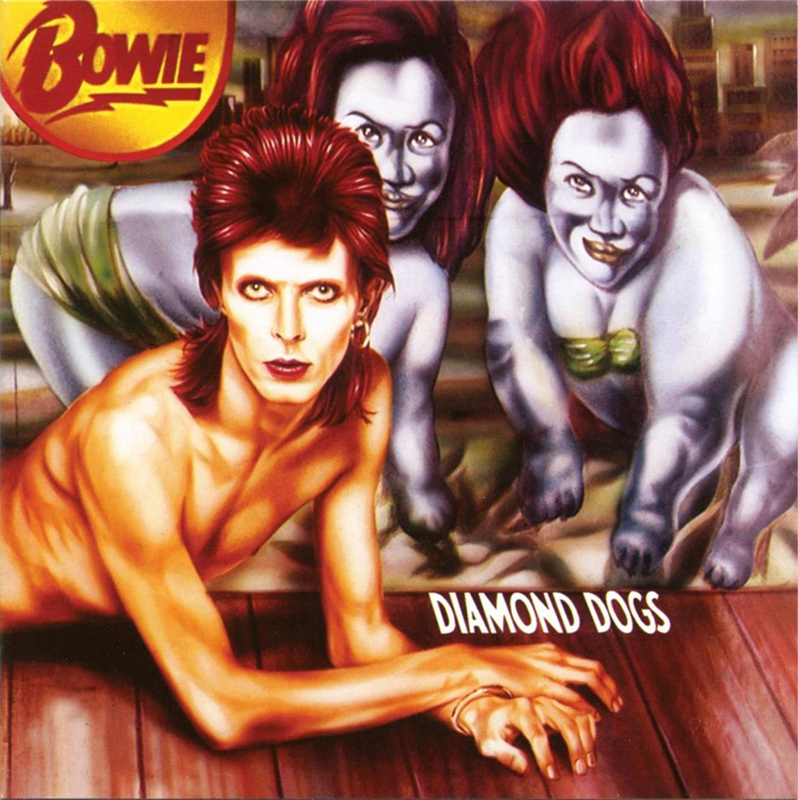 “Ziggy” is the definitive Bowie album, but “Diamond Dogs” is the one that calls me back.